When a friend posted his homemade burger with pickled fennel on Instagram, I instantly knew pickled fennel had to be added to the site. What could possibly go better with the outdoor dining, summer condiment theme? This is a quick pickle, intended to be kept refrigerated for up to a couple of weeks. 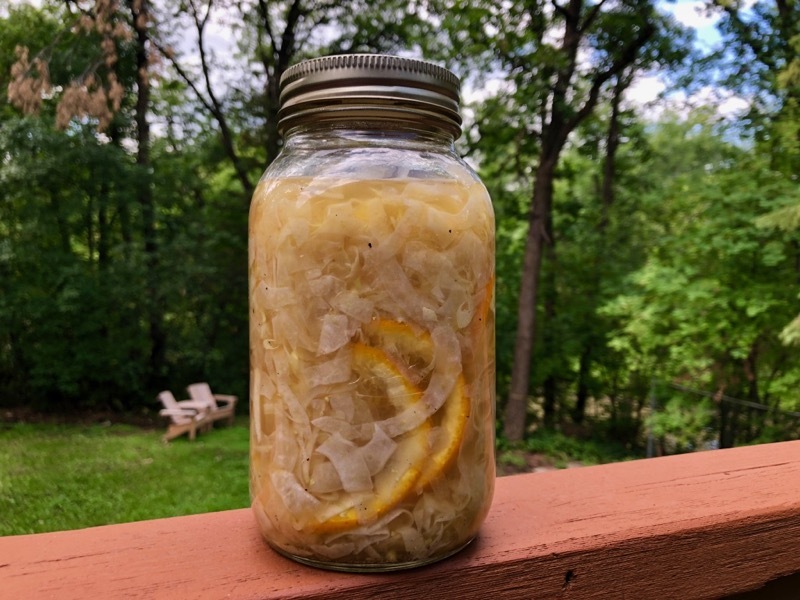 It’s not a true pickling method you’d use for long-term storage or preservation. A batch won’t last long anyway. Place all ingredients except vinegar in a bowl and toss to combine. Transfer to a one litre mason jar. Add vinegar to completely cover the fennel mixture. Cover, shake and refrigerate for 24 hours up to two weeks.